Omsk was founded in 1716 year such as frontier fortress for protection from nomad raids and as a stronghold for further Russian conversation of Siberia. In the 19th century after the construction of the Western section of the Siberian railway, which connected Omsk with the other centers of Siberia began an intensive economic development of the Omsk city. Nowadays, Omsk is a major industrial center with enterprises of various industries and the most important port on the Irtysh; also there are the strategic transport hubs of Siberia. 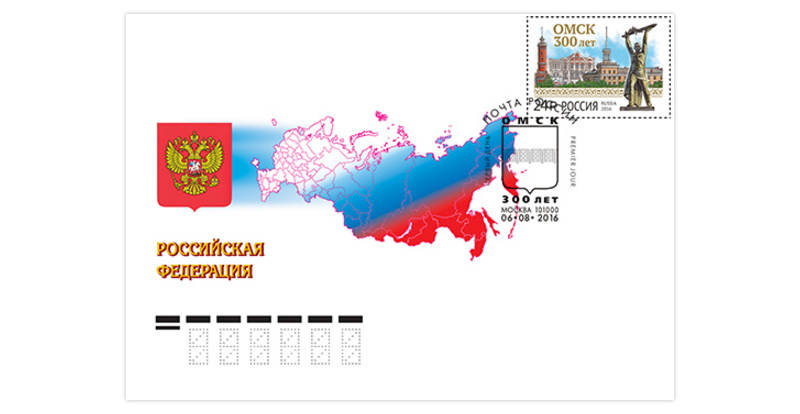 Omsk takes the 8th place in terms of population in Russia. 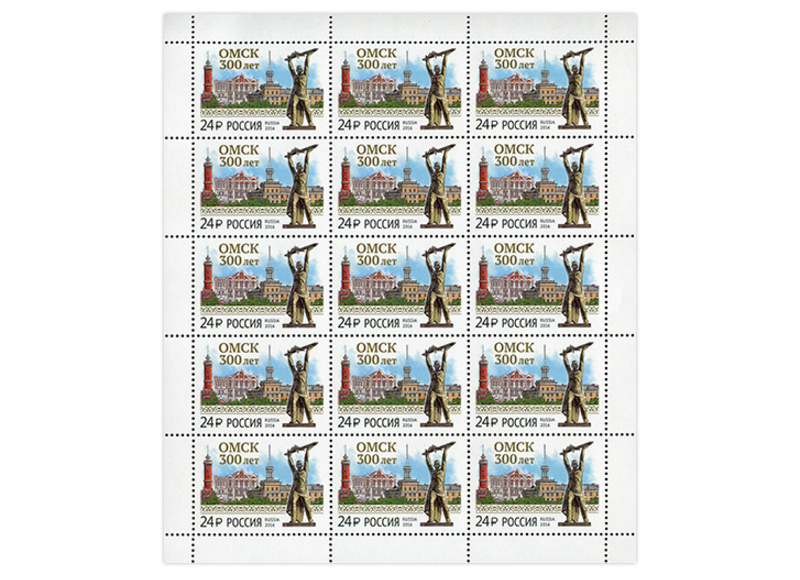 The postage stamp features the architectural objects of the city, a monument of "Soldier" on the background of the Omsk fire tower of Stolypin State Agrarian University and residential buildings "House with a spire".